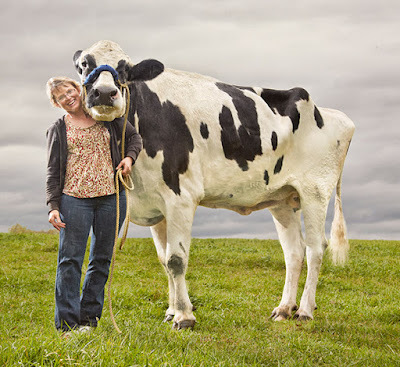 The biggest cow was a female Holstein breed named Blosom. Blosom passed away in 2015 after an irreparable leg injury. She lived in Orangeville, Illinois, with her owners. Blossom had almost two meters, more exactly 1,88m. After they made measurements, the representatives from Guinness World Records officially have announced, the world's tallest cow is Blosom.